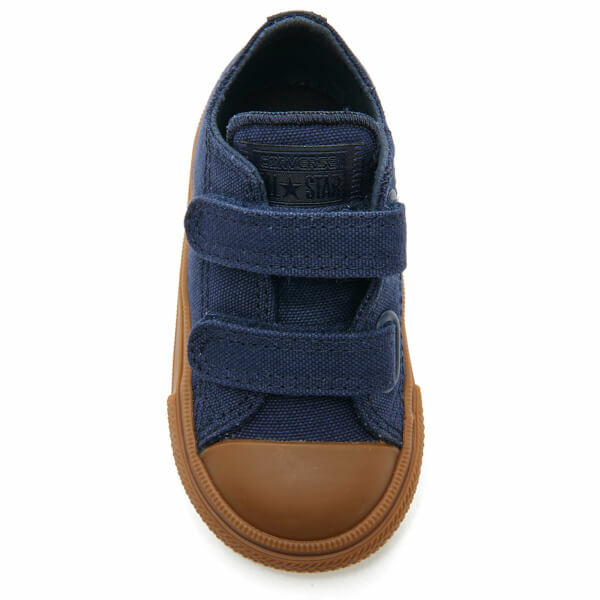 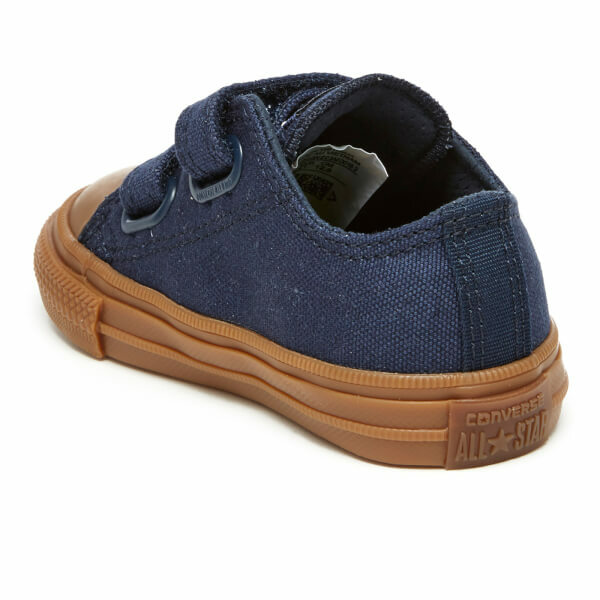 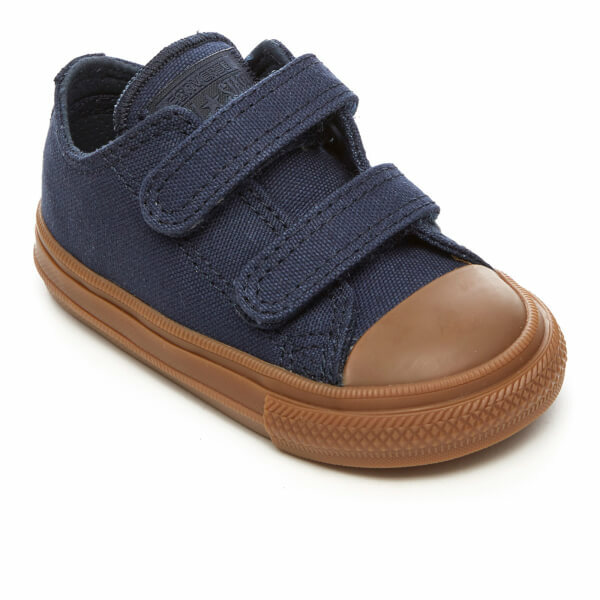 Toddlers’ low top trainers from Converse. 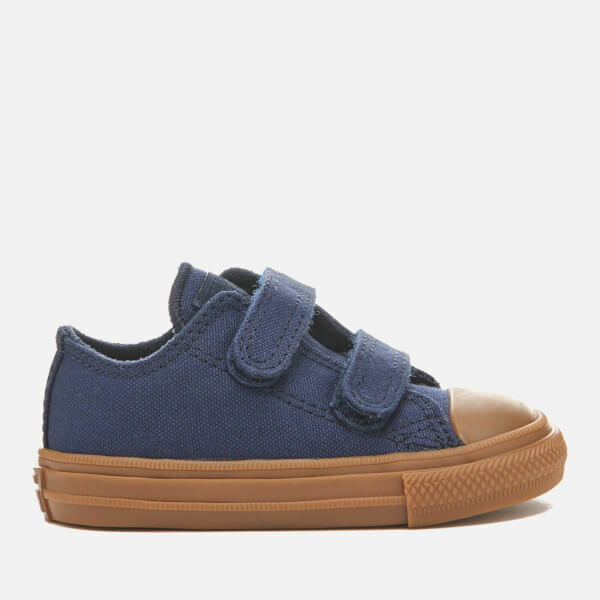 Crafted from durable navy canvas, the ‘Chuck II 2V’ sneakers comprise a rounded toe with a rubber toe cap and a dual Velcro fastening for easy on and off. 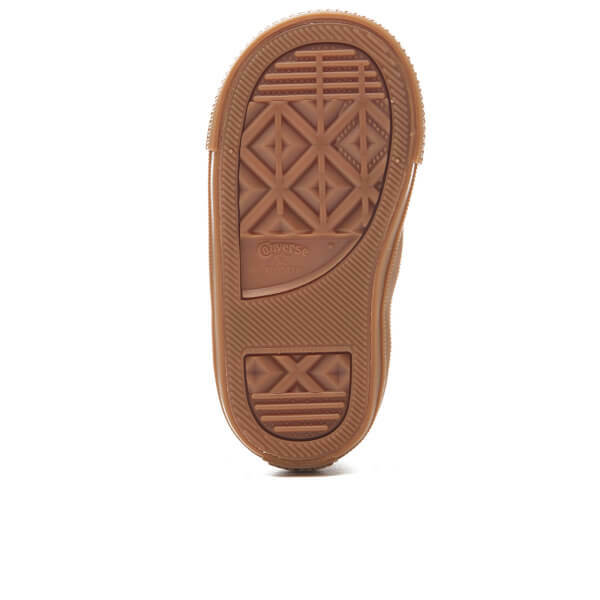 Placed upon a brown rubber sole, the Chuck Taylor ox trainers are complete with All Star branding appliquéd to the tongue and a tonal license plate at the heel.